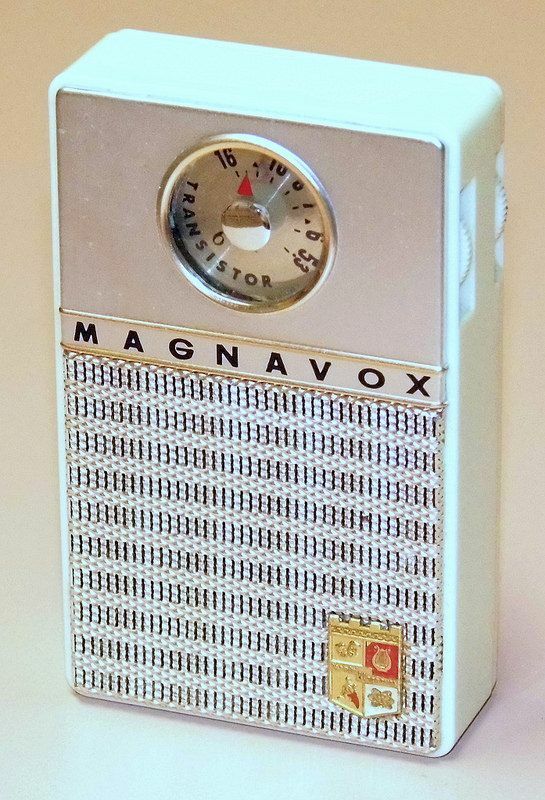 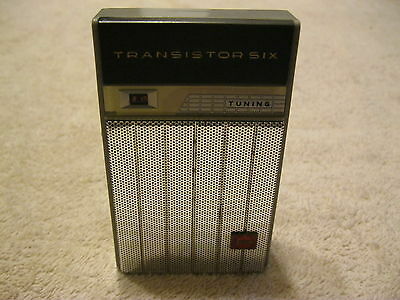 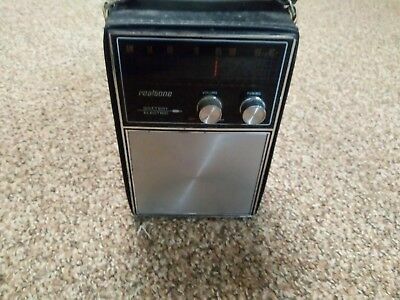 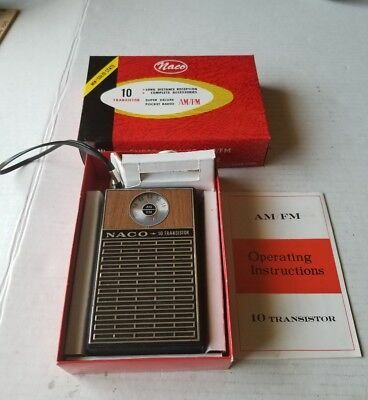 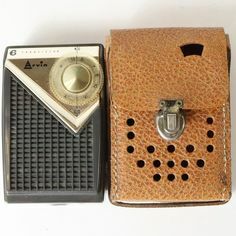 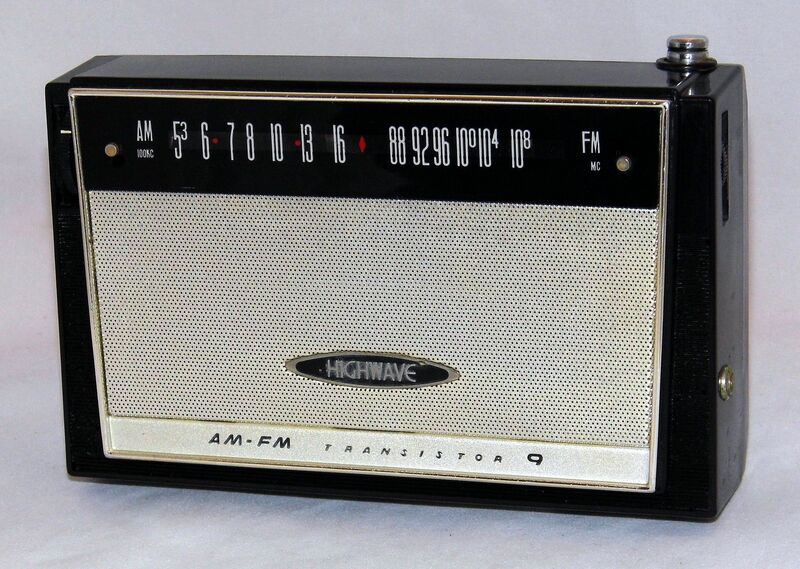 Vintage Magnavox Transistor Radio, Model AM-60, 6 Transistors, Made In Japan, Circa 1961. 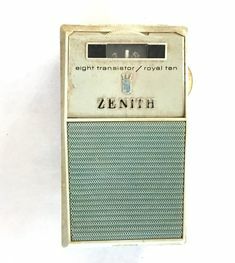 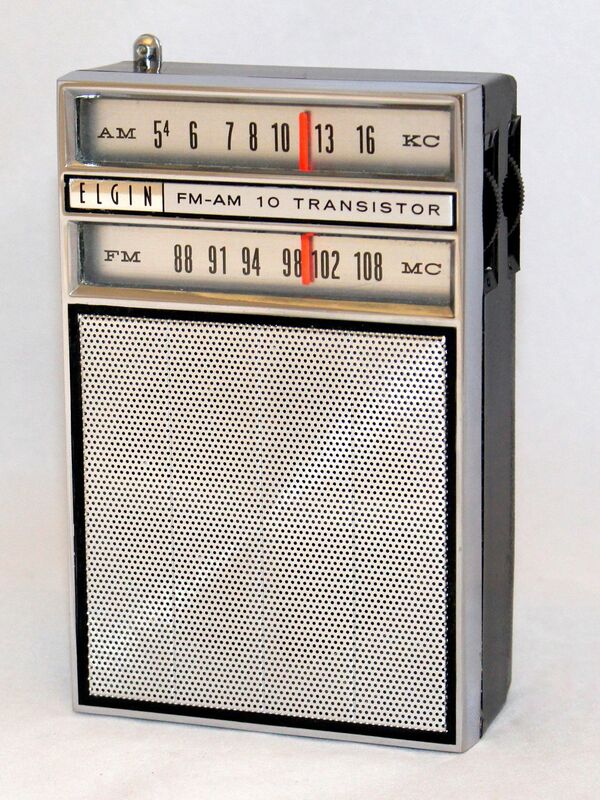 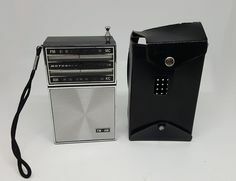 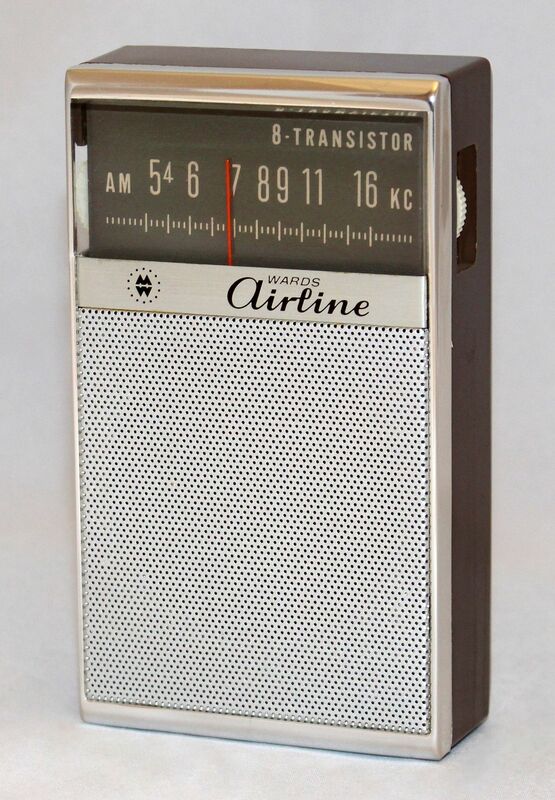 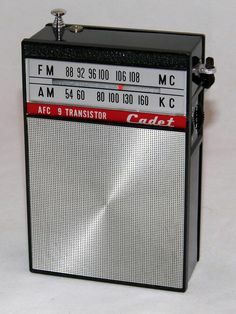 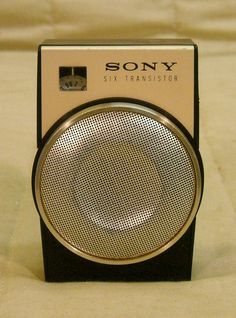 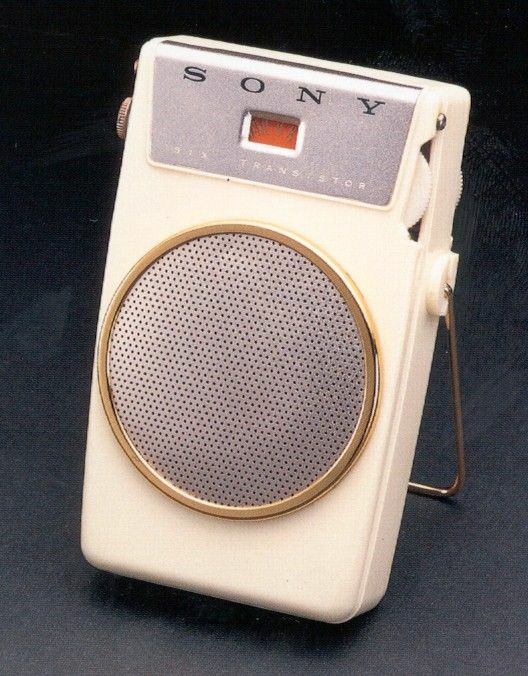 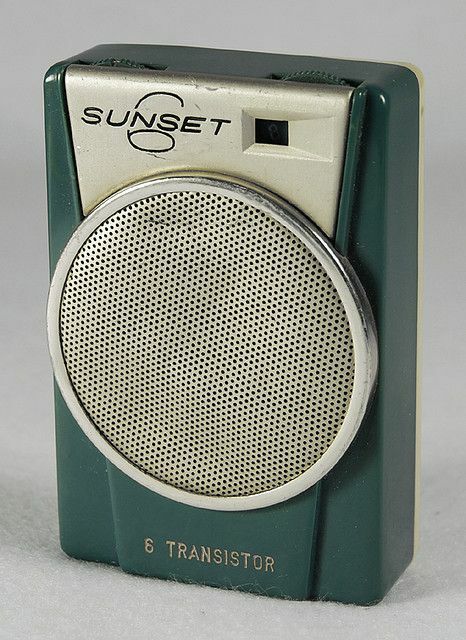 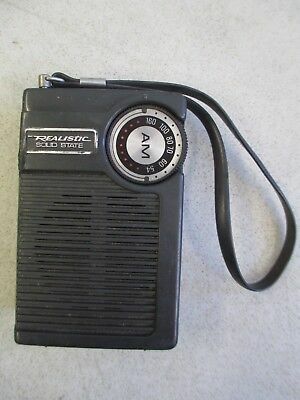 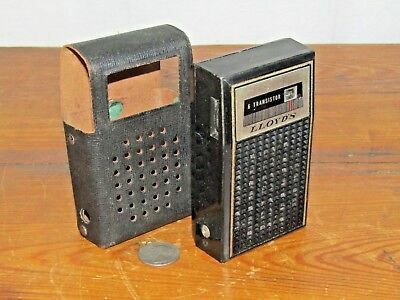 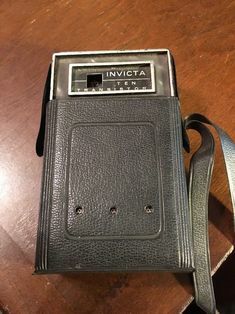 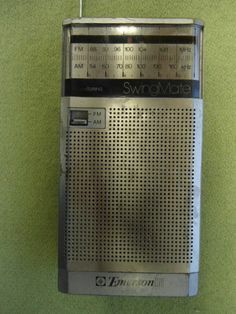 One of Sony's first transistor radios. 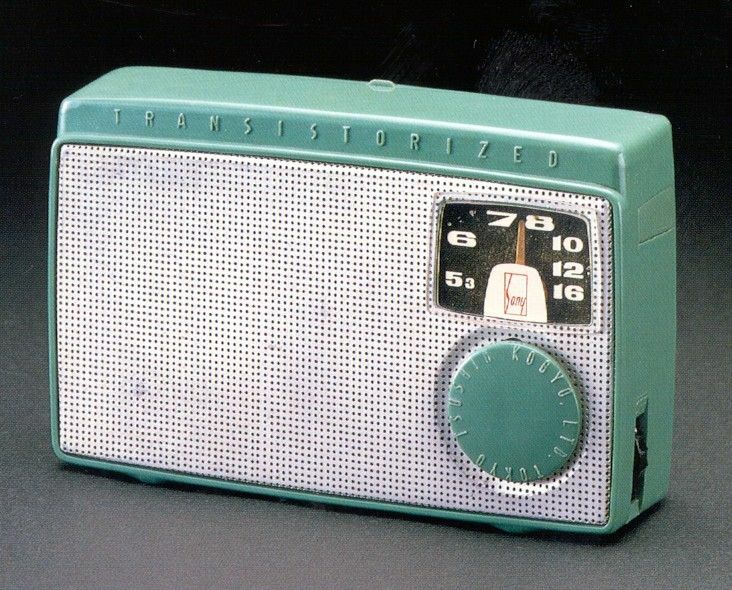 Introduced in June 1958, 700,000 units were sold all over the world. 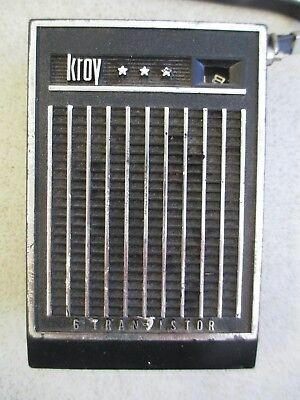 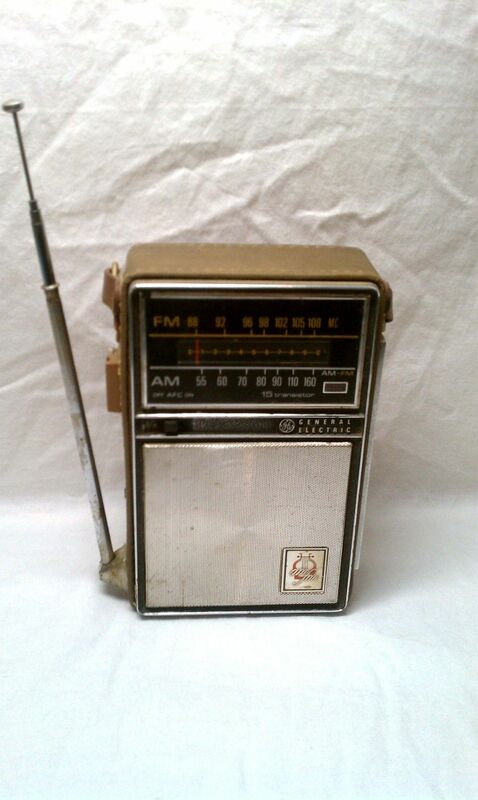 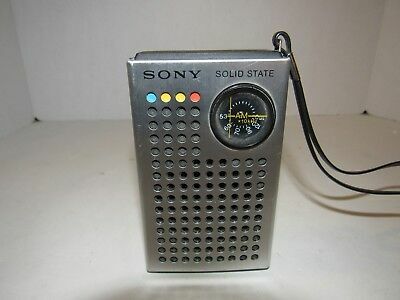 Japan's first all-transistor radio, and the first product to carry the name “SONY”, 1955. 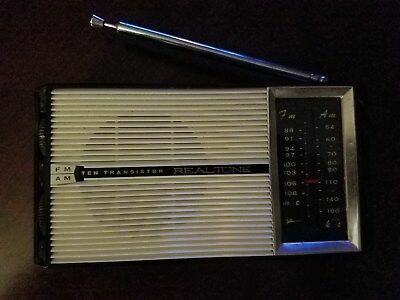 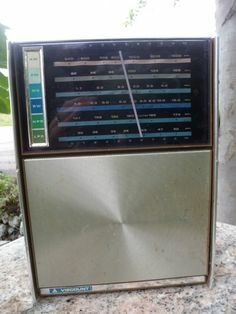 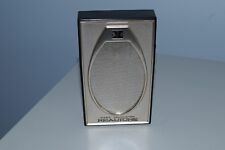 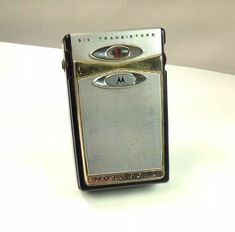 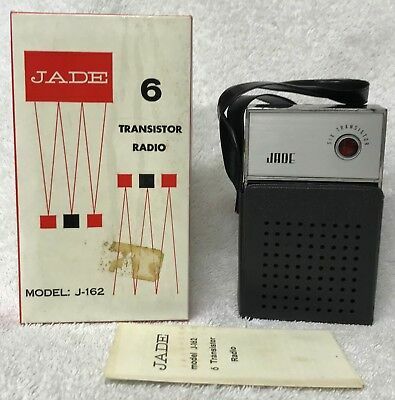 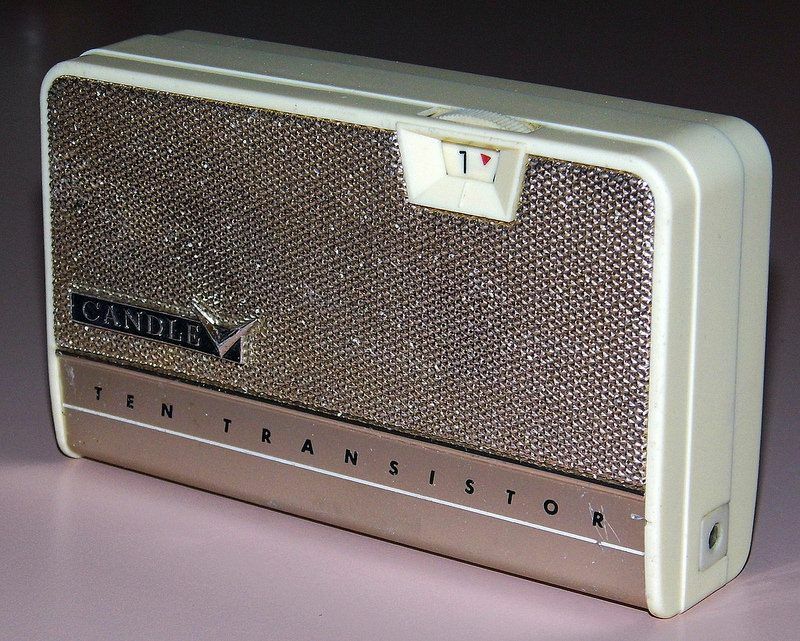 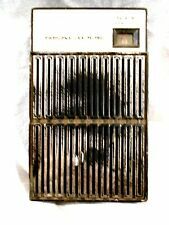 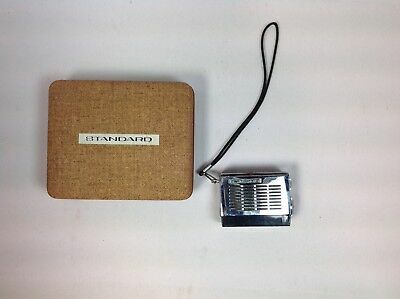 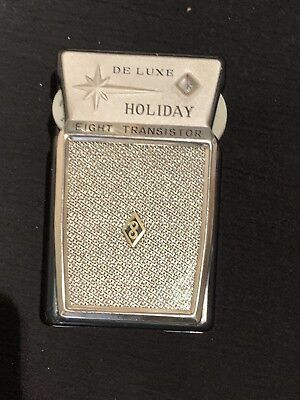 Vintage Candle 10-Transistor Radio, Model PTR-100, Made In Japan. 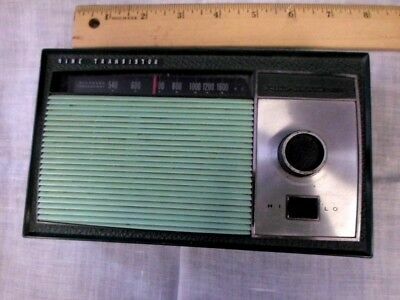 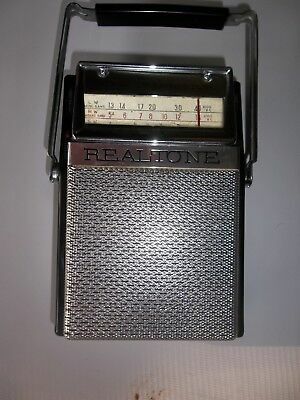 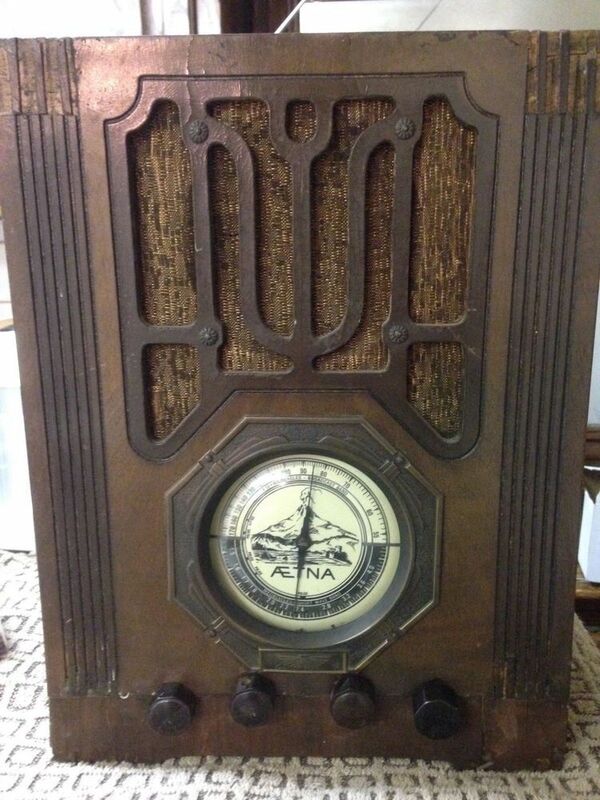 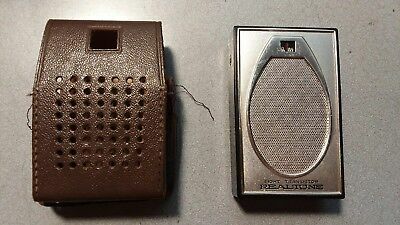 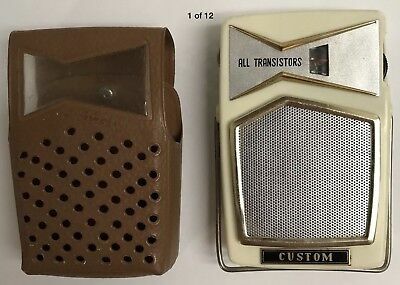 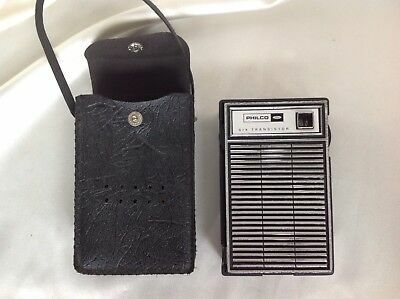 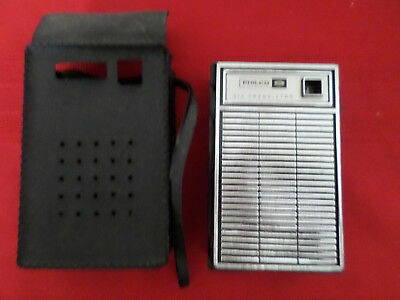 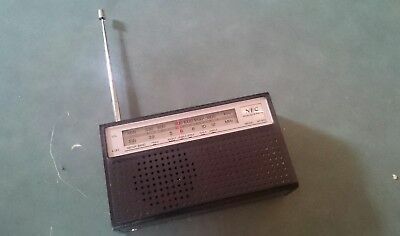 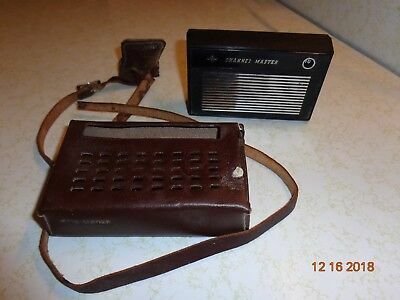 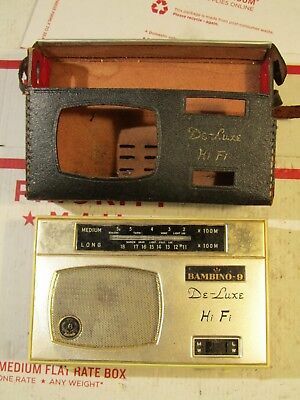 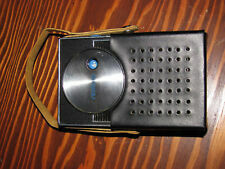 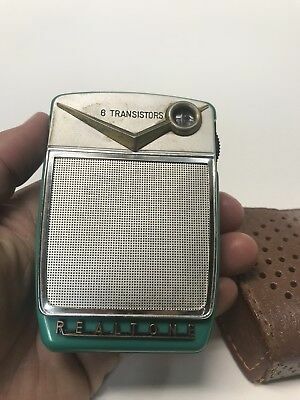 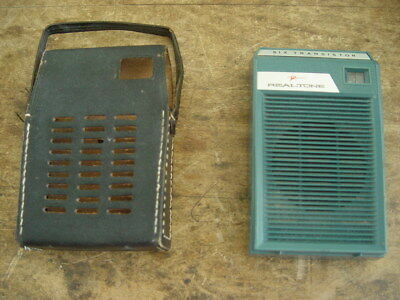 Realtone TR-1843 Vintage Transistor AM Radio With Leather Carrying Case, works! 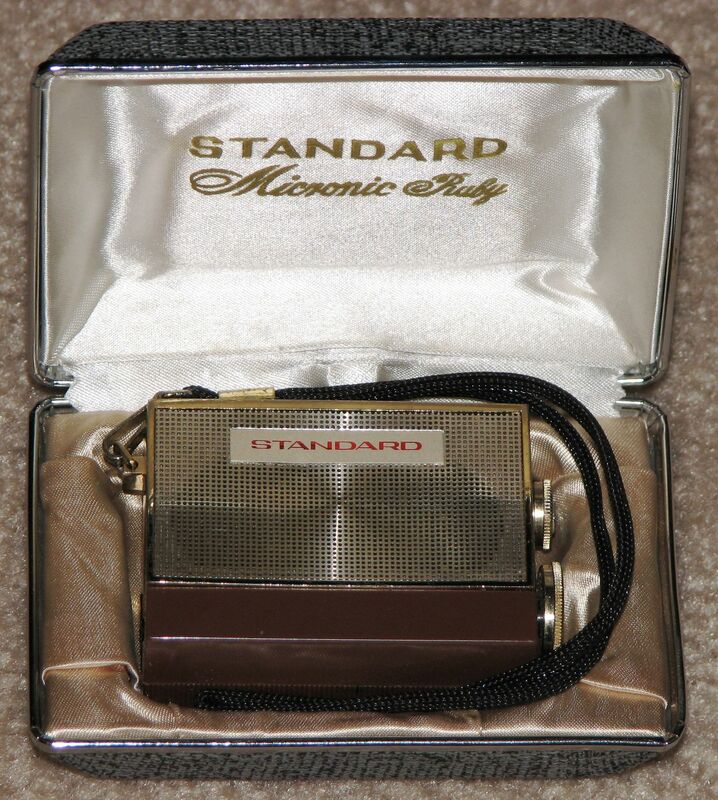 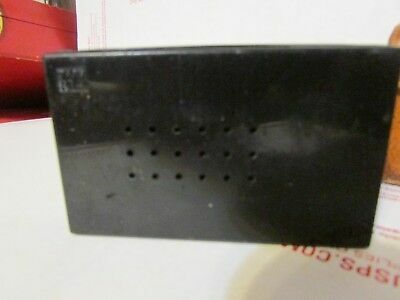 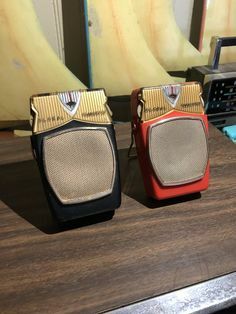 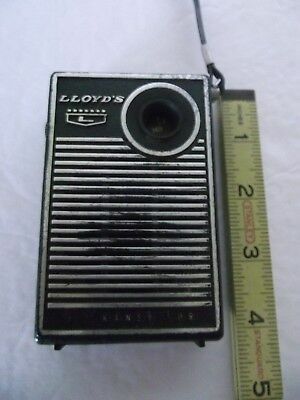 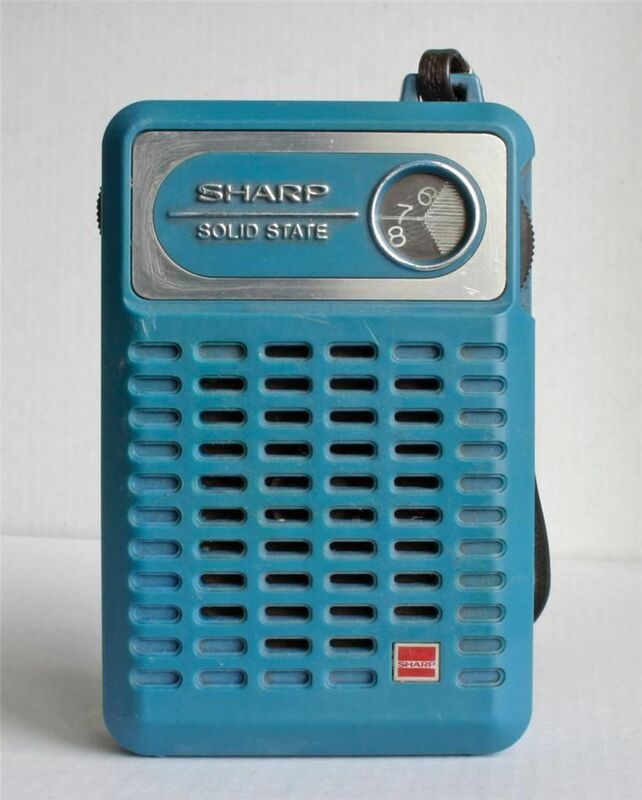 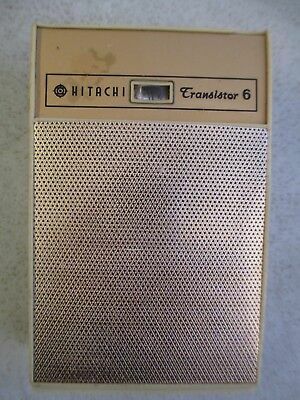 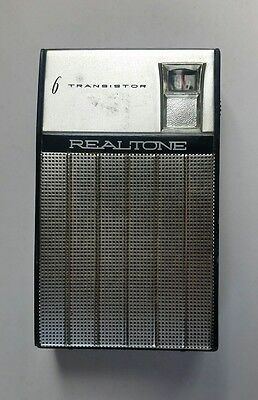 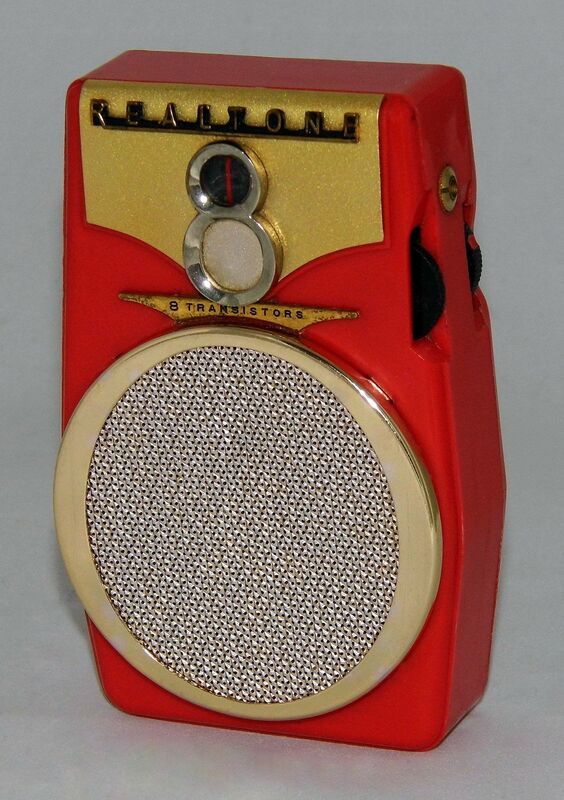 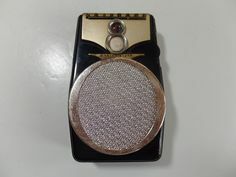 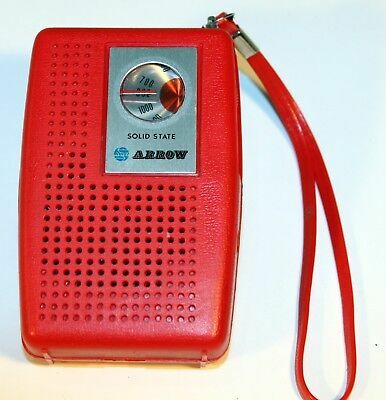 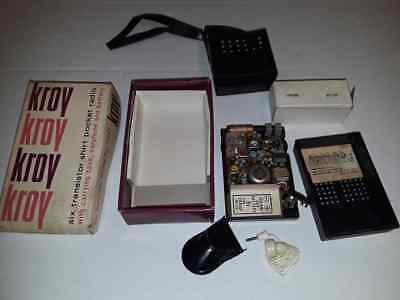 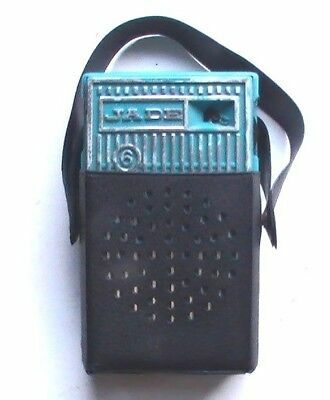 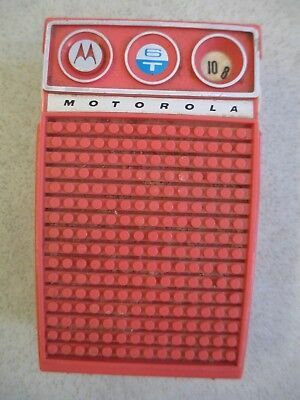 Vintage micro Standard "Micronic Ruby" transistor radio, model SR-H436. 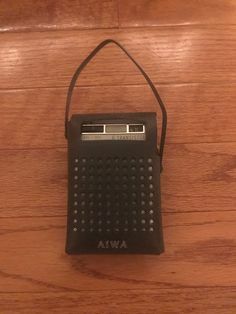 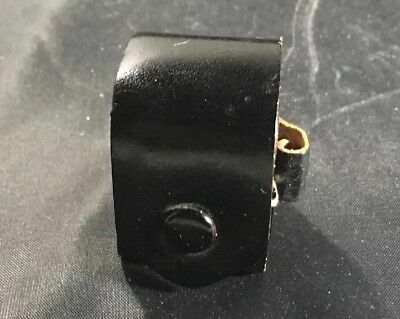 AM band-only, made in Japan. 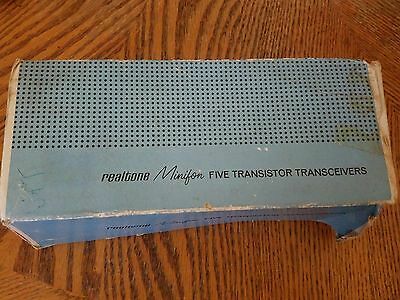 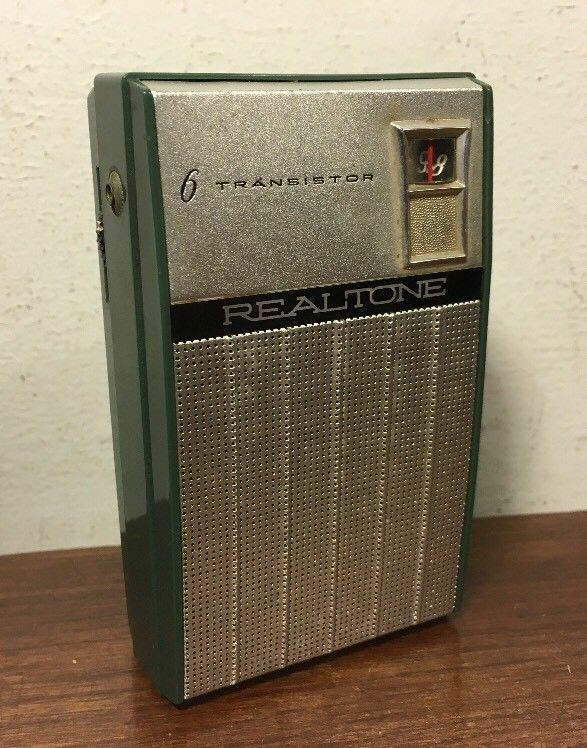 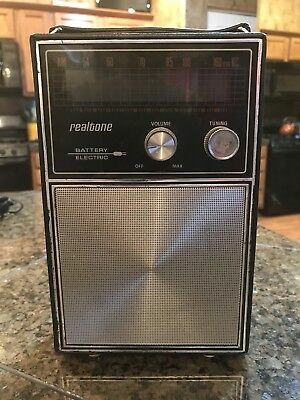 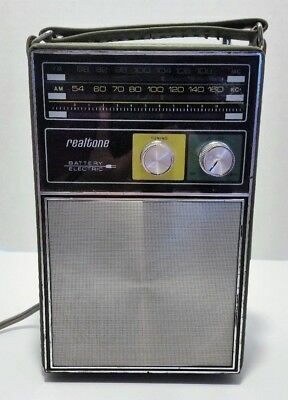 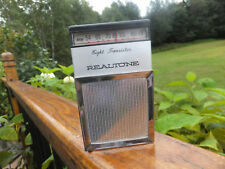 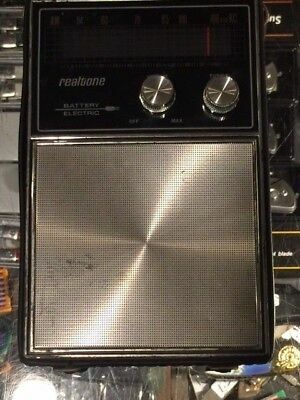 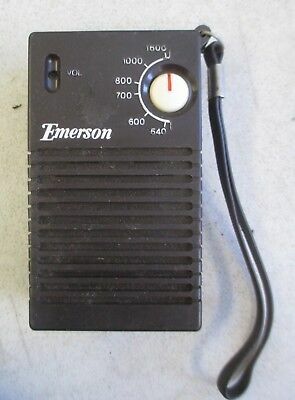 Vintage Realtone Am Battery Electric Transistor Radio Model 1443-5 Works! 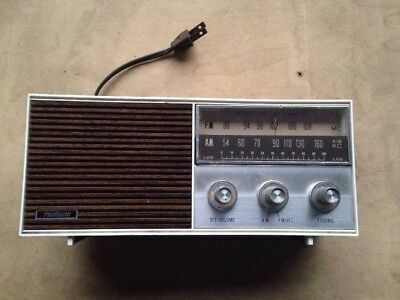 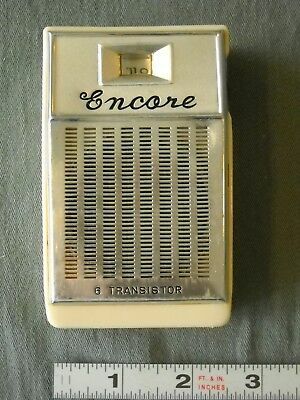 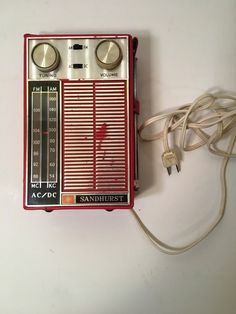 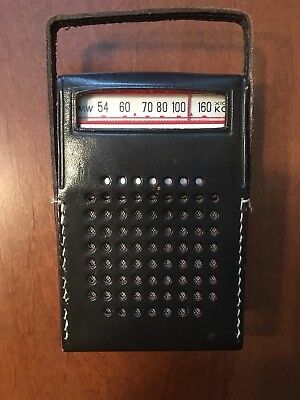 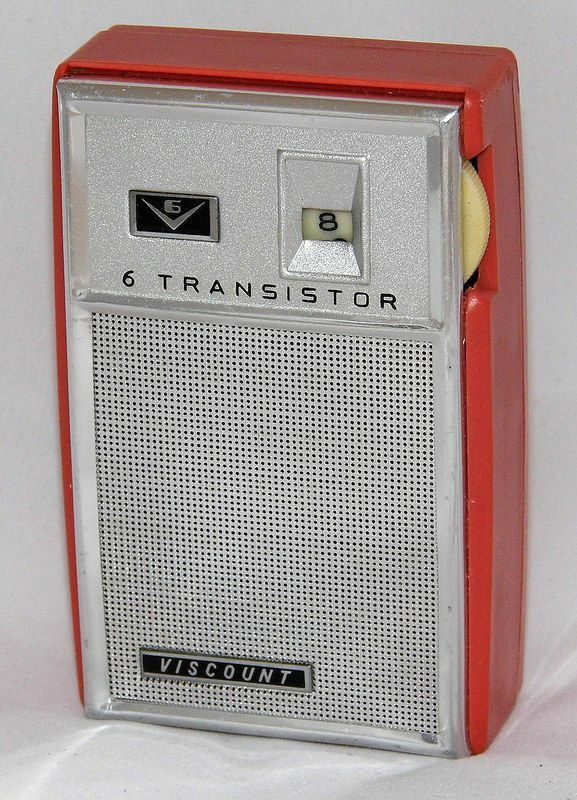 Vintage Viscount 6-Transistor Radio, Model 606, Made In Japan, Circa 1960s. 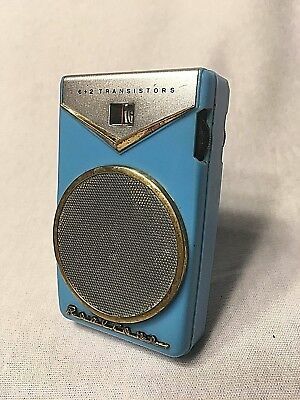 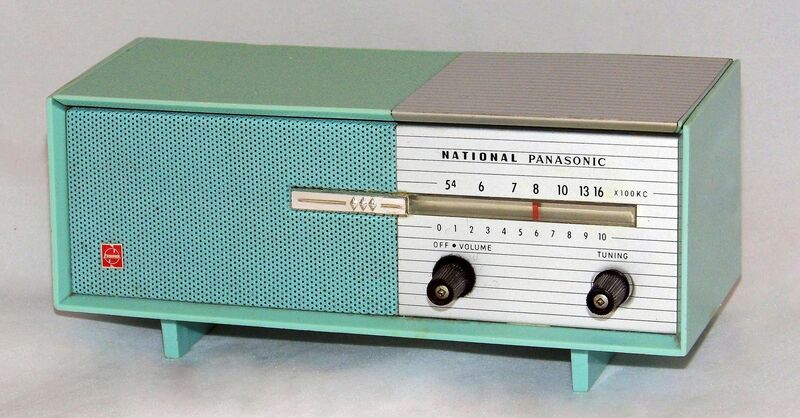 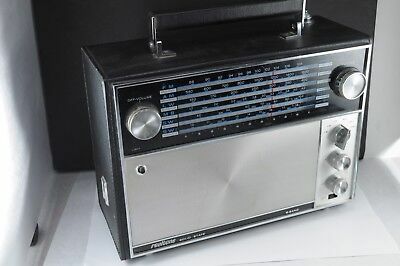 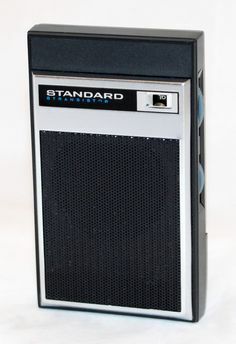 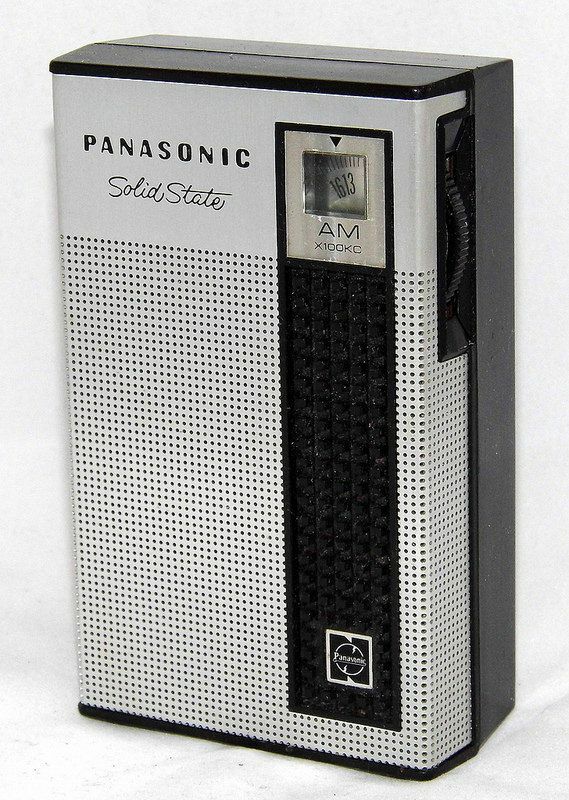 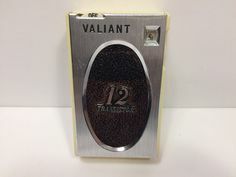 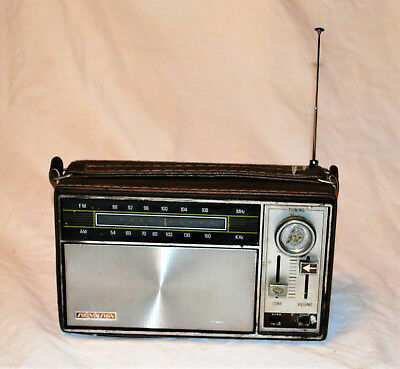 Vintage Panasonic Model R-1038 Solid State 7-Transistor Radio, Broadcast Band Only (MW), Made In Japan, Circa 1968.